Gov. 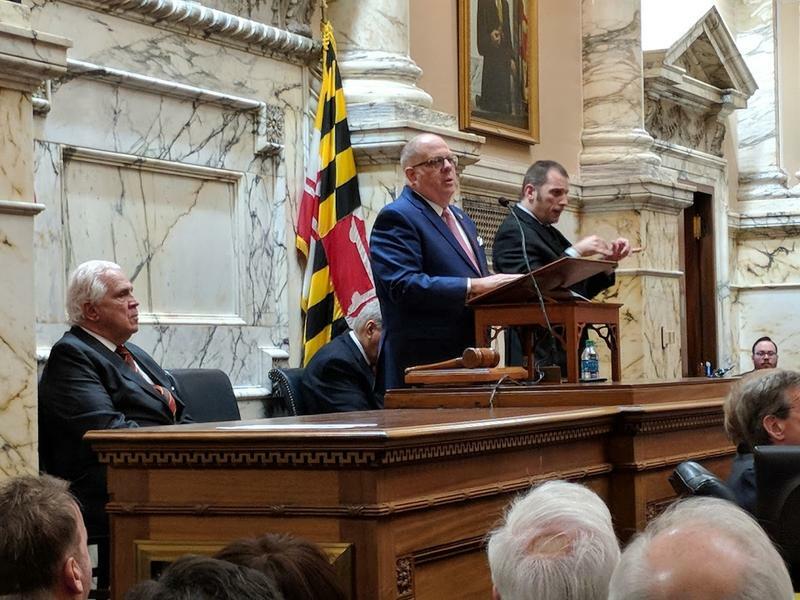 Larry Hogan giving State of the State speech. Gov. 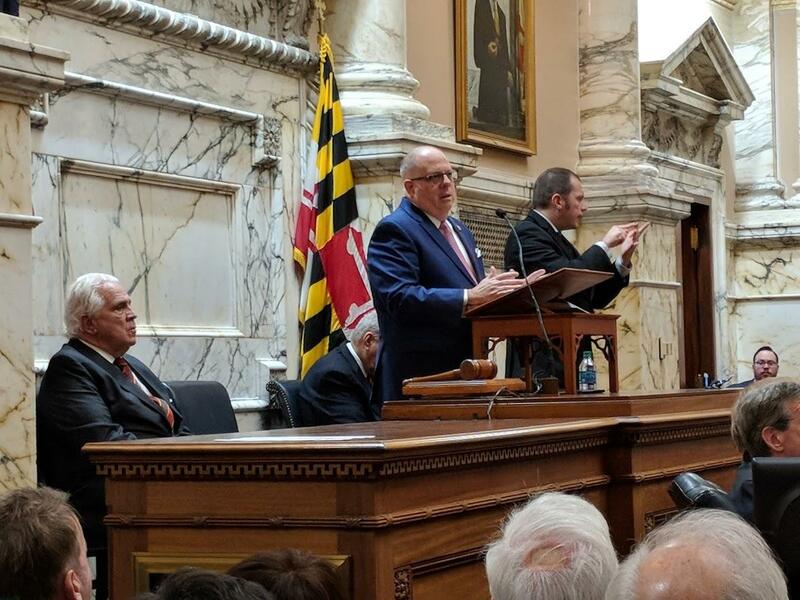 Larry Hogan called for increasing mandatory minimum sentences for violent repeat offenders during his State of the State address last week. The bills to do that came up for a hearing Tuesday in a House of Delegates committee and ran into opposition. Scott Shellenberger, Baltimore County’s state attorney, said the bills are an extension of the 2016 Justice Reinvestment Act, a bill that was supposed to bring sweeping reform to the state’s criminal justice system for non-violent repeat offenders. “We need to do the other side of what we did two years ago, and that is concentrate on the violent repeat offenders and make sure they go away so they cannot re-offend," said Shellenberger to the committee delegates. Lawmakers opposing the bills said they were sympathetic to the victims of violent repeated offenders, but worried whether they would do any good. Delegate Kathleen Dumais, a Montgomery County Democrat, said there was a lack of data to show mandatory sentences are worth enacting. She wasn’t alone. Kirsten Downs, head of Baltimore City’s Public Defender’s Office, said the record level of violence in the city is due to mistrust of the police, poverty and other factors, rather than prison sentences. “The root causes are not being dealt with at this matter," said Downs. And Kobi Little, head of Maryland’s NAACP, called it an economic justice issue. Lawmakers also said requiring mandatory minimum sentences would take discretion away from judges.